Brazilian forward Hulk has refused to rule outAi? ?Chelsea FC rumours, but says that he is concentrating on the Confederations cup now. After his much talked about move from Porto to Zenit, Hulk has endured a fairly disappointing season both on and off the field. The 26-year-old has failed to make the impact that fans were expecting him to, after the mammoth transfer fee that Zenit paid for his service. Apparently even his teammates werenai??i? ?t too impressed with his high wage ai??i?? Igor Denisov and Kerzhakov publicly criticized the club for paying over the top to the Brazilian. Despite such big names in the team, Zenit failed to win the league, and now Hulkai??i? 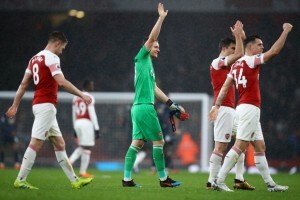 ?s future at the Russian club is once again in doubts. The former Porto man has failed to settle down in Russia and is apparently looking for a move back to other top leagues in Europe. Chelsea, who were closing to signing the Brazilian before he joined Zenit, are reportedly lining up another move for him this summer. New manager Jose Mourinho has reportedly urged the club to sign the striker and the London club are preparing a A?35million bid for him. But Zenit will want a transfer fee closer to the A?50 they paid for him last summer. 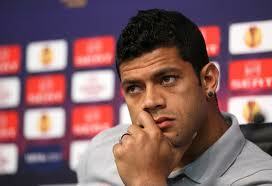 Hulk, who is preparing to participate in the Confederations cup for Brazil, has refused to rule out a move to Chelsea. In a recent interview the Brazilian international was questioned about Chelseaai??i? ?s interest in him, to which he replied ai??i?? “If I said there was not anything in it, I would be lying. “But that is not for now. I am 100 per cent focused on the national team at the moment. Chelsea are in the market for another striker. Their primary target Falcao has already joined Monaco while they have also been linked with Jovetic in recent times. Hulk will be a good addition to the squad, but the question remains whether he is worth the money that Zenit will demand for him. This move is highly unlikely as Chelsea are unlikely to match Zenitai??i? ?s demands.